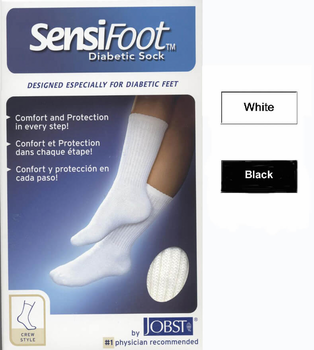 Sensifoot by Jobst provides for comfort and protection for sensitive feet, especially made for diabetic men and women. 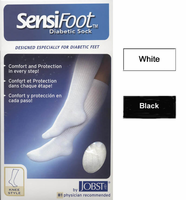 This sock features a smooth and flat toe seam, extra padding, moisture wicking yarns, antibacterial/antifungal finish, and mild 8-15 MM compression in 80% Acrylic, 17% Nylon, and 3% Spandex. Quality made in the USA. Hand or machine wash, no bleach, and air dry for best results. 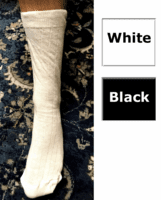 Our wear testers found that despite having no cotton components, the feeling was like that of their cotton socks and was wonderful for wicking away the moisture for even working outside or playing sports. These Jobst Sensifoot Diabetic Crew Socks offered the cushioning for an active lifestyle with just a light hint of compression that was just enough to provide comfort for a longer game of tennis! 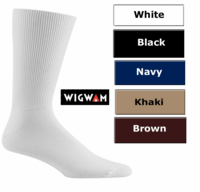 These are durable and very practical socks that kept their shape even after many washings.